The U.S. Department of Energy estimates that roughly 25 percent of the energy used to heat and cool U.S. buildings is lost through inefficient windows. In recent years, however, multi-lite glazing incorporating low-emissivity (low-e) coatings and inert gas fills, such as Argon, have reduced building energy consumption by increasing thermal resistance, reducing solar heat gain and increasing daylight utilization through lighting controls. However, a newer technology—building integrated photovoltaic windows (BIPV windows)—ups the ante by not only achieving those goals, but also by producing electric energy from solar radiation. 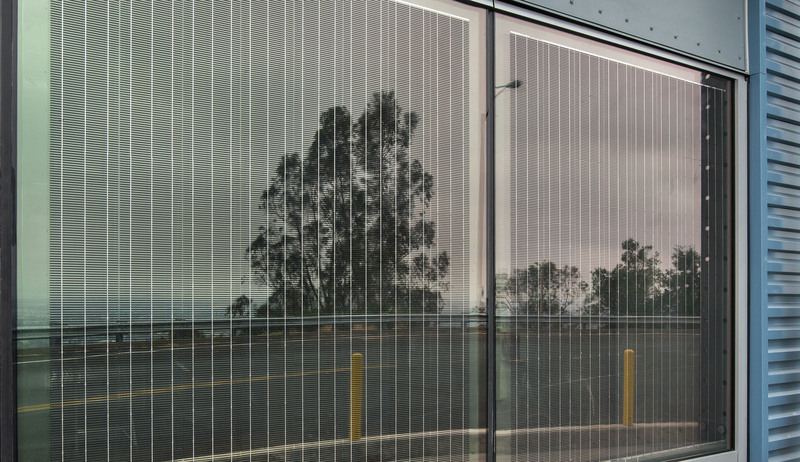 The key to a successful BIPV technology is to reduce solar heat gain and glare while achieving the best possible energy conversion efficiency—all while maintaining vision through glazing. Solaria Corporation’s semitransparent PV modules appeared to meet those needs, but to persuade designers and owners of the high-rises that could benefit most to make that significant investment, they need to be assured of its claimed performance and economic viability. To evaluate the performance of Solaria’s semitransparent PV modules and to identify their energy saving potential in comparison to code-level low-e windows, Solaria teamed with Lawrence Berkeley National Laboratory to conduct tests at FLEXLAB®, with funding from DOE and GSA. 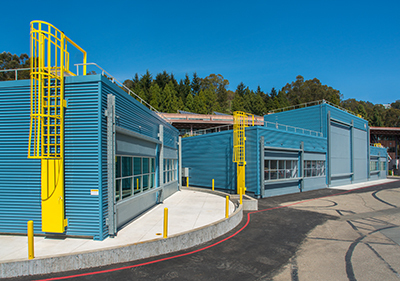 The facility offered Solaria the unique ability to compare the two technologies at the same time and location, under the same conditions—as well as to change building orientation while keeping the windows and the monitoring equipment in place, to observe differences in the sun’s angle on performance. FLEXLAB also enabled Solaria to evaluate shading options. The tests measured energy consumption-related parameters such as heating, ventilation and air conditioning (HVAC) energy use, as well as BIPV window power generation. Solaria’s comparison test at FLEXLAB demonstrated that the company’s BIPV product can provide a 15.9% energy savings over a reference-insulated glass unit. The ability to test both windows at different orientations to the sun revealed the best orientations for producing the most electricity. 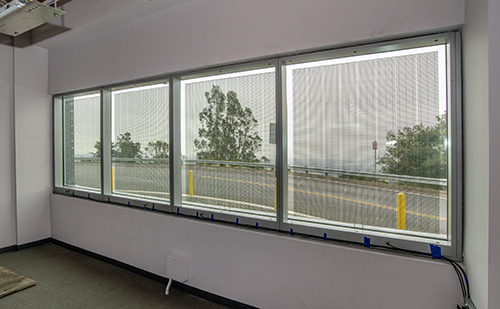 The tests also revealed opportunities for improvement: that using higher efficiency c-Si cells would further increase the energy yield, and that discomfort glare could be improved by using a lower transmittance glazing and/or suitable shading system. The tests also identified future research opportunities on junction box and coating placement, exterior shading, daylighting performance and visual comfort, to further optimize the window and minimize impacts from shading from window mullions. "Solaria’s glazing-integrated PV product, exhibited combination of improved solar control and electric power generation resulting in HVAC savings and net reduction in electricity use during the measurement period."